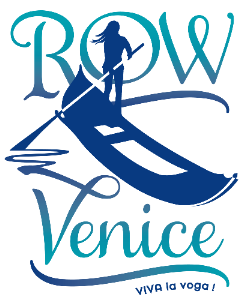 Row Venice is a non-profit organization of passionate women and expert vogatrici, Venetian by birth and by choice. We are dedicated to the preservation of the traditional Venetian cultura acquea and at its center, the voga alla veneta, the Venetian style of rowing: standing up, facing forward, native to Venice and made iconic by the gondoliers. Many of us are also athletes and regatanti devoted to this Venetian sport that’s as old as the city itself. Come row like a Venetian with us. Get off the beaten path and onto the Venetian waterways in our beautiful bateline and try it yourself! Row Venice to sustain Venice. No motors. No wake. Private lessons in rare, traditional Venetian batele craft. No age limit – kids row by themselves, or along with a parent or your instructor. Experience Venezia at her most serene — by oar. Why not follow your hard work learning the voga with a stop at a local bàcaro…or two? If you don't Row Venice, you don't know Venice. Our classic, 90-minute, private lesson for up to four people in one traditional, Venetian hand-crafted all-wood batellina. Where foodies and wine enthusiasts can follow their prova di voga with a giro d’ombra, employing their newly acquired skills to row to two bàcari, sampling food and wine of Venice. A 90-minute evening rowing lesson that takes place in Canale Grande after the city begins to relax (and in summer, cool off). Evenings only, from dusk on. Looking for something different to do in Venice, something truly authentic and un-touristy? Row Venice gets you off the beaten Venetian path and behind an oar, offering you the possibility to experience the rich heritage of this unique rowing style first-hand. While getting a taste of this exhilarating, inherently green and sustainable activity, you’ll also be supporting our non-profit organization’s goals to support women who race, kids who learn, and organizations who work to keep the voga an integral part of the city. 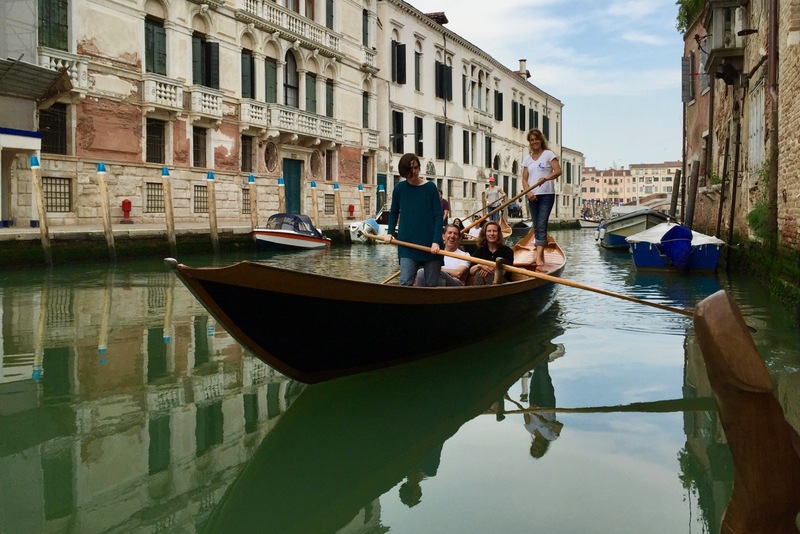 You’ll play a part in simultaneously raising international awareness, and generating broader support for the role of the voga and typical Venetian boats as a vital part of Venetian heritage. There is nothing more Venetian than the Voga.